Each year more than 100,000 French expatriates move either for business reasons or just by pure desire to live in a foreign country. However, working or living where one knows nothing can cause unpleasant surprises if they do not prepare in advance. It is actually obvious to remain cautious in taking some steps to protect yourself in case something goes wrong. To better assist you, here are some things to do to prepare for your move to Mexico before you leave. A few years ago, a study found that almost half of the French report moving to another country for over a decade. This shows that this has become a trend now even with short missions that are minimizing, a decrease that may be due to the use of local expertise. 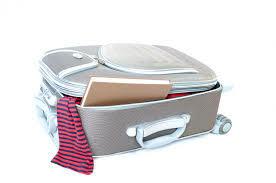 Expatriation has then seen a significant change either on a personal and/or professional level. This is why it is essential to gather as much information on the living conditions of your destination since it can not be denied that expatriation can cost you dearly if not planned well. It is not for nothing that most employers first offer a scouting trip. When you are there, it will be harder to do your administrative tasks whether your pension fund, employment center, embassy, tax office, family allowance fund and others. Although it is possible that your company supports you with it, this is not always the case. The ideal would be to take all the necessary steps before leaving so you will not have difficulties with these things, especially for pensioners and students. If you are moving for work, you should know that all contracts you have signed for expatriation are not the same. You can find three kinds including local, secondary, and expatriate. The local agreement is one that is signed when an employee is hired by a foreign company and is employed on the same terms as those of a Mexican employee of the emerging countries. Detachment is the contract that will allow your employer to retain the same contractual relations linking you as an employee sent abroad. 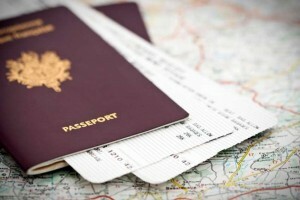 When it comes to expatriation, it is a contract that requires you to sign a new contract with the business abroad. If you wish to move to Mexico ,you must also do a check on your welfare since although there is a system for coordinating insurance and protection across Europe that gives you the guarantee of the continuity of your rights and benefits as European citizens, only forty states are concerned. And Mexico does not belong to it, as New Zealand and Australia. If you do not get a secondary contract then you will lose all of your benefits. Also know that your employer is not obliged to bear the costs to maintain your French social security. Apart from your pay, you would have to negotiate on this point .. Anyway, whether you are moving for professional or personal reasons, it is important to perform these few checks before starting your assignment in Mexico.